Schools out for summer and with Mr. Hat missing, Mr. Garrison is over the edge. 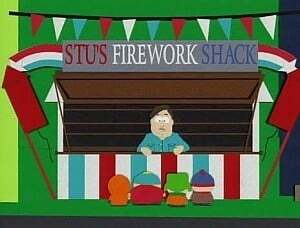 The state has a ban on the sale of fireworks, and it screws up the boy’s plans for a 4th of July celebration. Mr. Garrison seeks psychiatric help from Dr. Katz while Jimbo and Ned go to Mexico, in an attempt to smuggle fireworks back to the children of America.